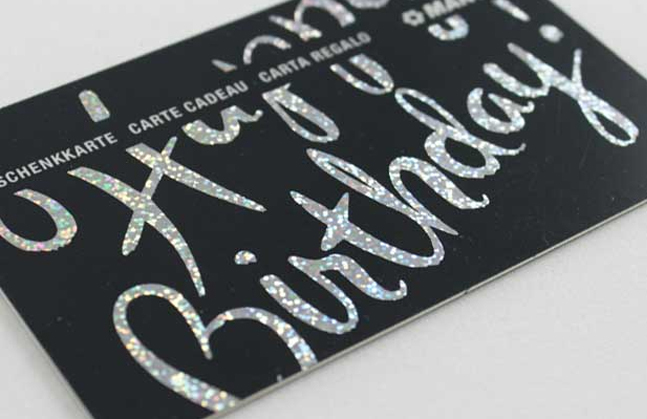 Holographic foils also known as diffraction patterns add value and movement to your product. Over 150 designs available ranging from dots, squares, cracked ice, rainbow, pillars of light, snowflakes, swirls. Available in silver, gold, transparent and a range of metallic colours. If we do not have the design to suit your application a bespoke pattern can be originated for a low minimum order quantity.